Attending a Grand Ole Opry show remains on the bucket list of just about every country music fan, and a pilgrimage to the capital of Country Music is not complete without catching a performance. The Grand Ole Opry began as a radio show presented in front of a live audience right here in Nashville in 1925, and live performances continue three times a week, ramping up to almost daily performances during high season. The Opry held residence at the Ryman Auditorium downtown Nashville from 1943 until 1974, when it moved seven miles east of downtown to the Grand Ole Opry House, where it lives on today most of the year. The Opry House sits adjacent to Opry Mills Mall and the sprawling Gaylord Opryland Resort. For visitors staying near downtown, you can expect a 20- to 30-minute drive to the Opry, depending on traffic. The nearby mall offers a constellation of chain-dining experiences for a quick casual bite, but if you’re looking for something a little more local, we’ve compiled a list of the best spots to enjoy dinner before a Grand Ole Opry show. Since the Opry’s first performance of the night begins at 7 p.m., these restaurants all open early enough, offer easy parking options and quick access to the highway to simplify the jaunt out to the Opry. If you have a few hours to spare and a penchant for exploring, why eat at only one restaurant when you can try five? In the span of three hours, a Walk Eat Nashville tour will introduce you to a Nashville neighborhood of your choosing where you’ll enjoy tastings from five unique eateries, all the while learning history from your guide and engaging with the chefs, managers and owners behind the Nashville restaurant scene. For the uninitiated, a food tour is an excellent (dare say, our favorite) way to explore a new city, or reacquaint yourself with the changes in a nearby neighborhood. Throughout the tour you’ll enjoy plenty of food for lunch, likely leaving you full enough to not eat before the 7 p.m. show. If you’re returning Downtown after the performance and need something to tide you over until morning, we’d suggest hitting up prohibition-era lounge Black Rabbit in Printers Alley for a small bite and nightcap. If you’re staying Downtown and are planning to spend the day exploring Lower Broadway prior to catching a show at the Opry, we’d suggest grabbing dinner a few blocks south of Broadway. This will get you away from the swirling mayhem that only intensifies as the evening sets in, and positions you closer to the highway so you won’t have to cross through the Downtown traffic. Tucked inside the Omni Hotel, Kitchen Notes is a haven away from the bustle of Broadway, offering Southern classics in a relaxed and comfortable environment. Sourcing from local farms whenever possible, Kitchen Notes showcases the best of the region and was recently named one of the 50 best Southern restaurants in America by Open Table. Don’t miss their kitchen’s take on fried chicken (if you like spicy, order the Nashville Hot) the shrimp and grits, and the She-Crab soup, which is beautifully presented and poured tableside. Supper service begins at 5 p.m., and Kitchen Notes offers free valet through the Omni; just make sure to get your ticket validated by your server! If you didn’t drive plan to call a Lyft by 6:15 p.m. to make the 7 p.m. Opry. The team behind Nashville ramen favorite Two Ten Jack brought Green Pheasant to the downtown dining scene in November 2018, and quickly wowed diners with its luxurious interior, impeccable presentation and relentless attention to detail. Offering inventive and seasonal Japanese fare, the menu may seem intimidating, but trust your server and you’re certain to find something unique and delectable. The daily Ikagi (or happy hour) from 2 p.m. to 5 p.m. offers a variety of small plates and two types of ramen, as well as drink specials. Dinner service begins at 5 p.m. and signals a menu shift. An ever-changing array of cold and hot plates are available, but our favorites are the spicy crab noodles and the chirashi, a stunning rice bowl featuring the freshest fish adorned with garnishes of pickled vegetables, salmon roe, deftly folded and fluffy eggs (known as tamago), and kamaboko, those adorable white and pink swirls that you’ve likely seen on Instagram floating in a bowl of ramen but have yet to try. While parking isn’t free, there is self-parking that runs $5 with validation for 2 1/2 hours, or you can valet for $12. (Valet is located on the corner of First Avenue and Molloy.) If you’re planning to take a Lyft, call your car by 6:15 p.m. to make the 7 p.m. show. If you want a stellar meal without breaking the bank, try Etch for Happy Hour at 4 p.m., with full service beginning at 4:30. Executive Chef Deb Paquette, the first woman in Tennessee to qualify as Certified Executive Chef, cooked her way into Nashville’s heart in 1997 with her first restaurant, Zola. After a brief hiatus, Paquette returned to Nashville and opened Etch and has been delighting downtown diners since 2012. Known for her comedic charm, you can take a peek as she works her magic in the open kitchen, preparing globally inspired dishes that have garnered Paquette a reputation as an exquisite culinary talent. Etch is one of the few spots downtown with complimentary valet (along with another local favorite, The Farm House, next door), and since it’s just a few blocks away from the highway, it’ll be a quick ride out the Opry. If you didn’t drive, be sure to call your Lyft by 6:15 p.m. to catch the 7 p.m. show. Let’s say you’re staying out near the airport (or landing a few hours before showtime): After a day of exploring or traveling you’ll likely want to head to your hotel to refresh before dinner and the show. Instead of driving back downtown for dinner, we recommend staying close by — and you can do so without skimping on quality. 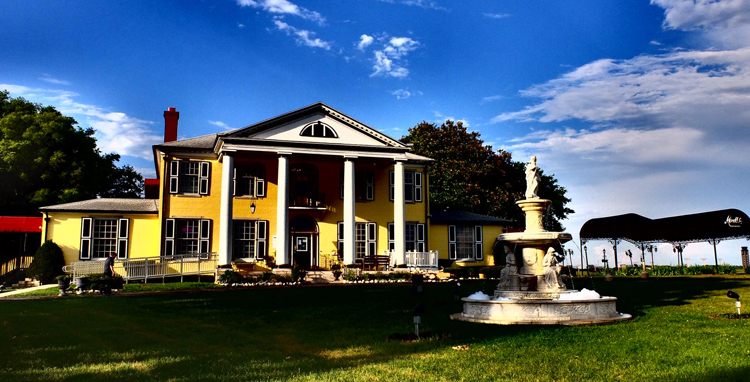 Monell’s at the Manor combines the spirit of Southern Hospitality with a dash of Nashville camaraderie, inside a historic mansion a 15-minute drive away from the Grand Ole Opry, and a far cry away from the congestion surrounding downtown. Monell’s is as well-known for the communal dining environment as the Southern fare pouring out of the kitchen, so prepare to make some new friends, even if you arrive with a party of pals yourself. The open seating policy at Monell’s ensures that guests are seated and served in the order they arrive. Once you walk through the front doors, you’ll be shown to your seat at a lengthy table amongst mismatched chairs. You’ll undoubtedly saddle up next to some new folks, and can swap stories while taking in some of the best traditional Southern food Nashville has to offer. Monell’s at the Manor sits on an enormous lot with plenty of parking for those with cars. Otherwise, be sure to call your Lyft by 6:30 to make the 7 p.m. show. Perhaps you did the backstage tour at the Opry and have some time to kill in between your tour and the performance — the closest option is across the parking lot in the mall, yet feels a world away. 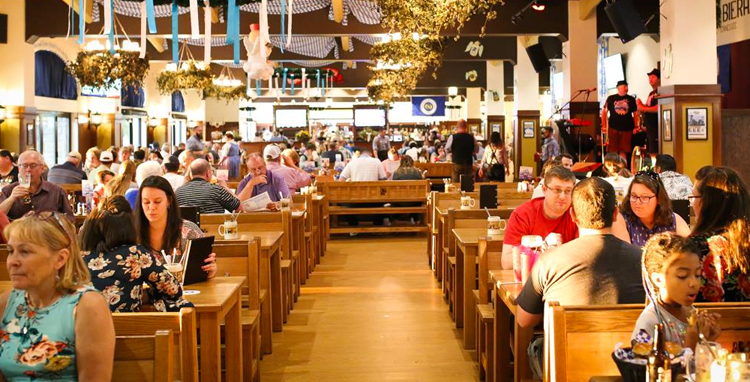 Bavarian Bierhaus opened in 2017, boasting an authentic German bier hall experience, with the decor and steins to match. The sprawling interior plucks you from Nashville and transports you to Bavaria. Owners Bob Krumm and Brian Kehl were both stationed in Bavaria during their time in the service, and recognizing a lack in authentic German food in town, came back to Bob’s hometown to open Bavarian Bierhaus. The soft pretzels with bier cheese and the Ruben rolls are standouts on the starters menu, and their assortment of wursts and sausages are courtesy of the famed Fred Usinger’s, a gourmet German sausage shop in Milwaukee that hasn’t changed the family recipe since they started cranking out bratwursts in 1880. By far the simplest commute to the Opry, simply walk through the mall and across the parking lot. 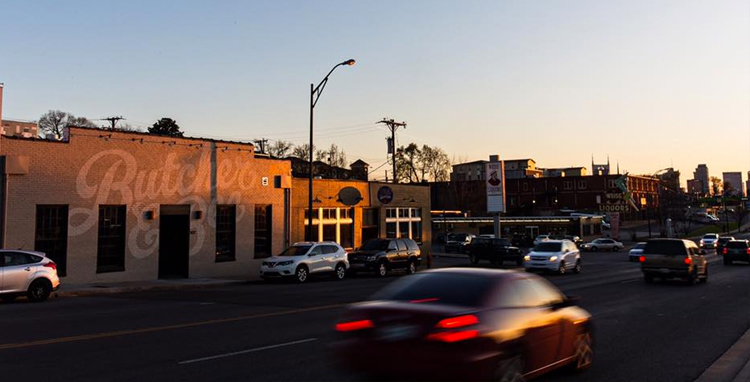 Just across the river from Downtown lies the acclaimed and eclectic area known as East Nashville. If you’re looking to leave downtown and explore, East Nashville is a neighborhood fueled by artists and entrepreneurs and offers its own unique counter-culture to Lower Broadway. If you opt to eat on this side of town, you’ll be closer to the Opry and have the option of taking Briley Parkway instead of the interstate, which negates the battle with downtown rush-hour traffic. Butcher & Bee has maintained its status as an East Nashville standout since opening its doors in December of 2015 to much fanfare and anticipation. The vegetable-forward menu leaves room to surprise many Nashville diners, but the dishes executive chef Bryan Lee Weaver is doling out of the kitchen more than live up to the hype. The open, industrial interior is at once airy and intimate, with soaring ceilings, stunning tilework and a hint of exposed brick that complement the soft lighting, dark wood and cozy booths. With a menu designed for sharing, Butcher & Bee remains a top spot in Nashville to enjoy a meal with friends. Nestled away from the clamor of downtown, there are a few parking lots surrounding Butcher & Bee, and from there it’s simply a few blocks to jump on the highway out to the Opry. If you didn’t drive, be sure to call your Lyft by 6:15 to make the 7 p.m. show. Executive chef Hal Holden-Bache made a name for himself in Nashville long before opening the doors to this beloved neighborhood gathering spot and 2013 James Beard nominee for Best New Restaurant. Teaming up with longtime Nashville restaurant veteran Cara Graham, the two have created a welcoming spot for all featuring a locally sourced, seasonally focused menu, and were recently voted 2018 East Nashvillians of the Year. Community is at the center of everything they do at Lockeland Table, including their version of happy hour, aptly dubbed “Community Hour.” Offering food and drink specials and even a kids menu for the little ones, a portion of the proceeds from Community Hour pour back into a special fund created by Holden-Bache and Graham to sponsor Parent Teacher associations at nearby elementary schools. With plenty of free parking nearby, it’s easy to find a spot to park before making your way to Lockeland Table. If you didn’t drive, be sure to call your Lyft by 6:15 p.m. Chef Margot McCormack has called Nashville home since 1995, when she moved back here and served as the executive chef at F. Scott’s for five years. But her history with Tennessee pre-dates her cooking prowess. After graduating from the University of Tennessee in Knoxville, Margot moved to Nashville to pursue a creative writing career prior to exploring her culinary creativity, ultimately enrolling at the Culinary Institute of America. After her stint at F. Scott’s, she opened Margot Cafe and Bar in 2001, inside an old gas station in the heart of what would become the ultra-hip Five Points neighborhood in East Nashville. Since then, Margot has earned a devoted following of locals and four James Beard nominations for Best Chef: Southeast. As a 2019 semi-finalist for Outstanding Chef, it’s safe to say Margot’s game has never been stronger. With a majority of the attention in the dining scene focusing on what’s flashy and new, Margot Cafe & Bar feels familiar and cozy — the noise level itself a time capsule of what Nashville once was, ensuring you don’t need to scream to converse across the table. Both intimate and inventive, Margot’s East Nashville mainstay restaurant is both a testament to her training and her ability to elevate traditional ingredients. Since the menu changes daily based on what is freshest off the farm, you never quite know what you’re going to get, and that’s half the fun. There are parking lots scattered throughout Five Points, and if you’re planning to Lyft to the show, be sure to order your car by 6:15 to make the 7 p.m. show. Looking for a way to explore the best food in Nashville? Walk Eat Nashville walking food tours make it easy — covering East Nashville, Midtown and SoBro/Downtown, each tour includes tastings at multiple restaurants/shops and behind-the-scenes interactions with chefs and owners. Learn more about Walk Eat Nashville food tours. Eat like a local at chef-owned restaurants and specialty food shops in this creative, historic neighborhood. Tours every Thursday and Friday. Indulge in time-honored dishes and bold new flavors in the lively area surrounding Vanderbilt University. Tours every Saturday. Experience Nashville's new culinary gems north and south of Broadway's famous honky tonks. Tours every Wednesday and Friday. Enter to win a Walk Eat Nashville food tour gift certificate! Nashville Walks, LLC. Copyright 2014-2019. All rights reserved. Nashville Food Tours. Find us on Trip Advisor.